Happy Tuesday! I'm thrilled to show you this gorgeous vintage dress given to me by a former student's mom (it originally belonged to her mom). 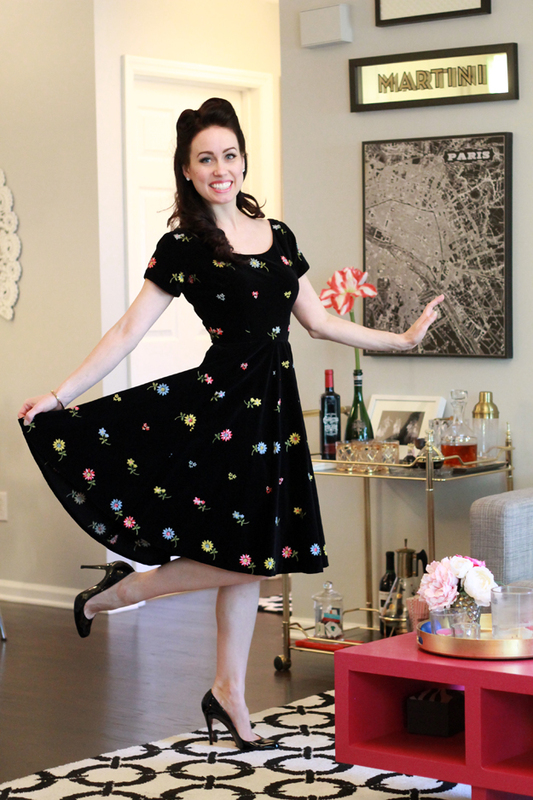 The black velvet is very soft and luxurious and dotted with such cute embroidered flowers, and magically, it fit me perfectly! I'm definitely thankful to this sweet lady for thinking of me. Have a wonderful Thanksgiving holiday! What a lovely dress! It looks very pretty on you! Have a nice day!